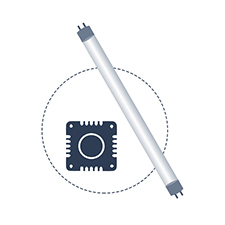 This LED tube requires a ballast bypass and they need to be directly wired into the socket for line voltage. 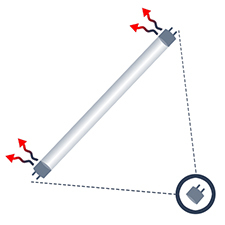 For ‘direct wiring’ of this LED tube, you can either remove the ballast or bypass the ballast. And, you must make sure that you remove the shunted sockets, in case you don’t have the non-shunted sockets as the T8 LED tubes can only work with non-shunted sockets. 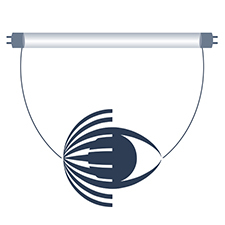 The best thing about ballast bypass LED tubes is that you don’t need to worry about any failure of the ballast and hence there is neither the hassle of maintenance or replacement every time the ballast fails nor any costs to incur. Whether it’s 2ft, 4ft or 8ft LED tube, one of the jaw-dropping features of LED tubes is that they don’t flicker unlike what you would have definitely observed in case of fluorescent tubes. The LED tubes start instantly and once they start, they don’t flicker and produce a humming sound. 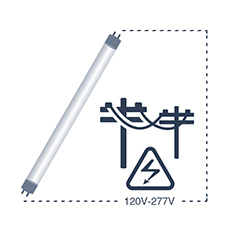 The LED tubes accept an input voltage of 120V-277V. You can go for a waterproof transformer in case you don’t have this voltage and wish to convert this voltage range to some other. The LED tubes will require low or no maintenance if you are going for a ballast bypass option of LED tube installation. 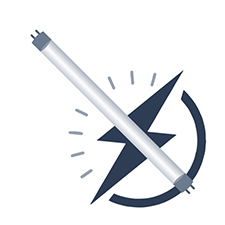 Though not very frequent, you may have to replace the ballasts once in the total lifetime of LED tubes, if you are going for ballast compatibility option and hence you will have to bear with slightly higher maintenance costs when choosing the former option. 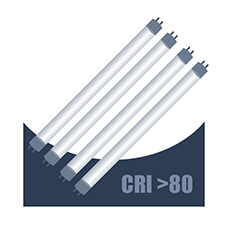 The CRI is greater than 80 for LED tubes, whatever object comes in the light distribution range appears to be real and natural up to 80% extent on a CRI scale of 1-100 and as it would have appeared in the natural light. The 220 degrees or ultra wide beam angle is made use of when large areas need to be covered. 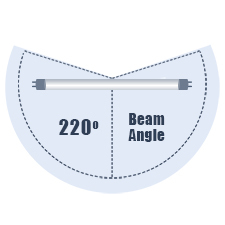 All our LED tubes whether clear or frosted have a 220-degree beam angle. 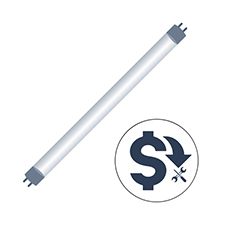 The LED tubes can save energy up to 75% in extreme contrast with fluorescent tubes that consume a lot of energy to bring you a higher energy bill. We highly recommend going for our LED tubes that are an excellent combo of lumen brightness and energy-savings. The LED tubes have a big heat sink made of aluminum and that’s a pretty good reason as to why the LED tubes don’t warm up too soon to be inconsistent operation. 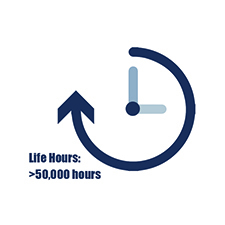 This is in extreme contrast with the fluorescent tubes that warmed up too soon and required cooling down to operate efficiently. Embedded inside the LED tube is a high-quality standalone chip -- SMD LED -- made from any number of chips to ensure high performance and reliability.